Examples: J’ai lu le journal. I have read the paper. Il a fait ses devoirs. He did his homework. Vous avez pris le train?Did you take the train? Download ppt "vous avez – you (pl/pol) have"
Key Topic is about… Main Idea So what? (Whats important to understand about this?) 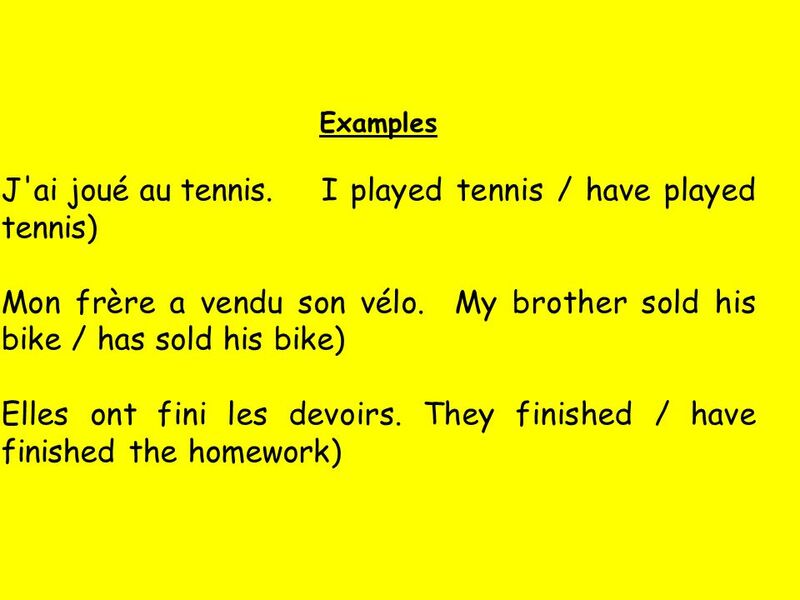 Main Idea -Le Passe Compose -Using Avoir-Using Etre: is it a house verb? What have you done?! Well, thats just PERFECT!!! 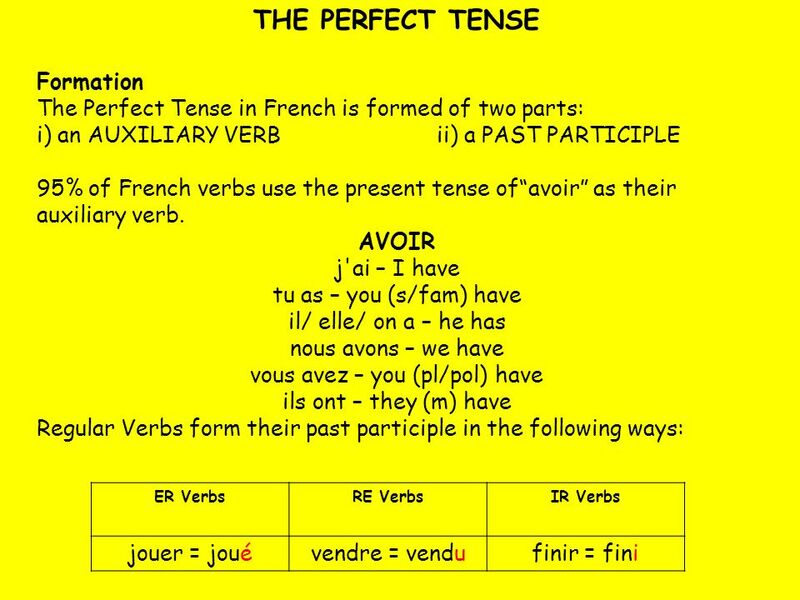 Le passé composé (the perfect tense). Le passé composé J’ai commandé un café I ordered a coffee. REMEMBER: The il form is the same for elle and on too! 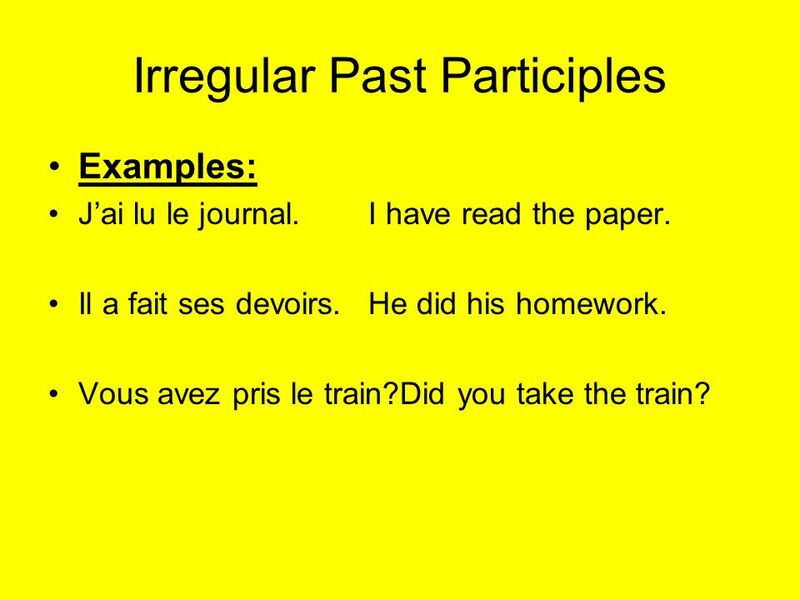 Objectif: to be able to use verbs ending with ir in the present tense Les verbesir. Autumn 2 Assessments 1.Foundation Listening June Foundation Reading June Writing My Ideal Partner Write all corrections for writing in exercise. VENIR – to come. ALLER – to go jevais tu vas il, elle on va nous allons vous allez ils, elles vont. Le passé composé des verbes reguliers. -ER Verbs. 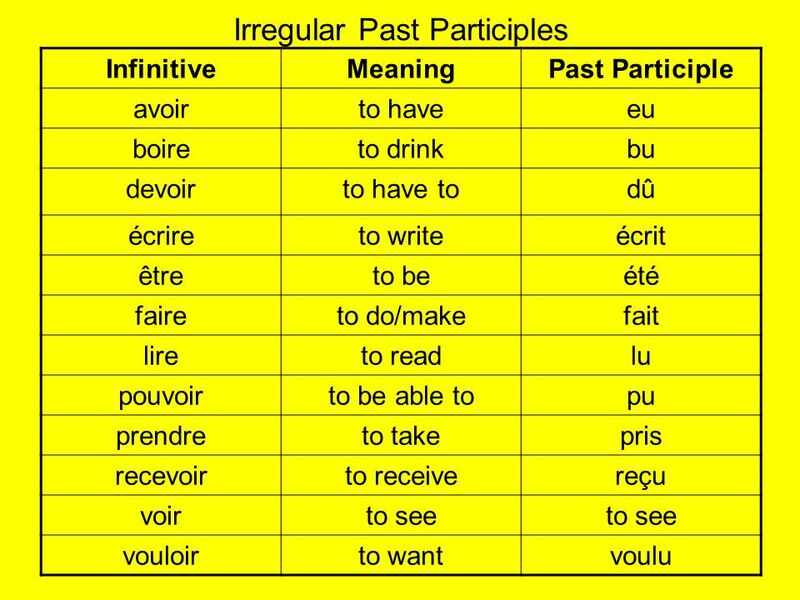 Conjugating Verbs Verbs are given in the infinitive (ex: manger, nager, jouer) We have to conjugate (or change) them when used with subjects.